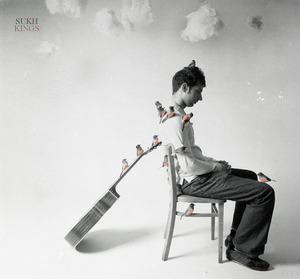 Sukh is a Manchester based singer songwriter. He plays guitar and piano as well as singing, and has long had an interest in music. In his day job he's a Doctor, and yet has managed to find time to write and record his album - Kings. The music is nice and simple - generally it's just vocals and guitar that stand out, with drums and bass being more restrained, but at the same time Sukh isn't afraid to add more instruments to give a richer sound where it is needed, so we get Cello, Viola, French Horn and Piano as well as female vocals to enhance the sound, and this does lift the album up above many of the releases from solo singer songwriters. The songs are also quite upbeat, avoiding the common tendancy on albums of this type to have more of a gloomy feel. It's a really enjoyable album to listen to. The single, Kings is probably the strongest track here, but the whole album is worth listening to.